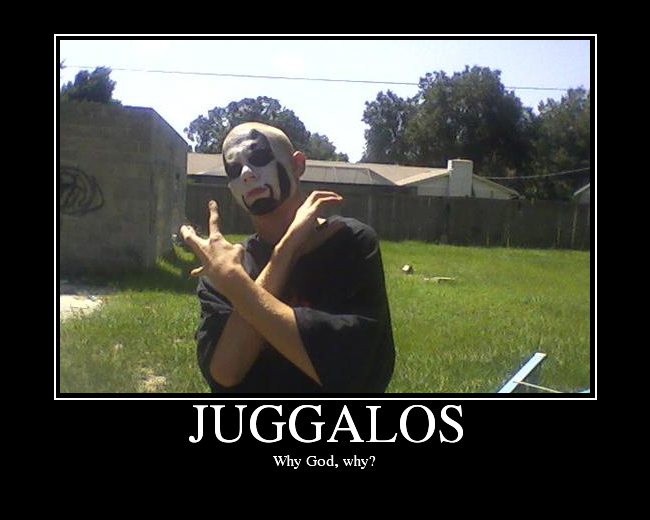 You'd be surprised how much Insane CLown Posse makes off of merchandise. No one should be surprised by that... I see more ICP shirts when I go to the mall than pretty much any other group. BUt I'm talking millions of dollars every year on T-Shirts, alone. Ahahahha I can't believe the unbelievable win jackhammer imposed on this thread. They don't care for your opinion. I can't even sit through the whole thing. Good job accomplishing what I could not. .... I kinda wanna buy one... for the novelty of it..... okay maybe I'm not quite that comfortable with myself.